Down with the flue. No shop for me today, instead got time in bed to play with two different leg configurations. I’m not sure which one to go with yet. This entry was posted in Uncategorized on January 31, 2014 by ronaldx. This is the basic leg design. To actuators and a linkage system. Next stop: my shop. 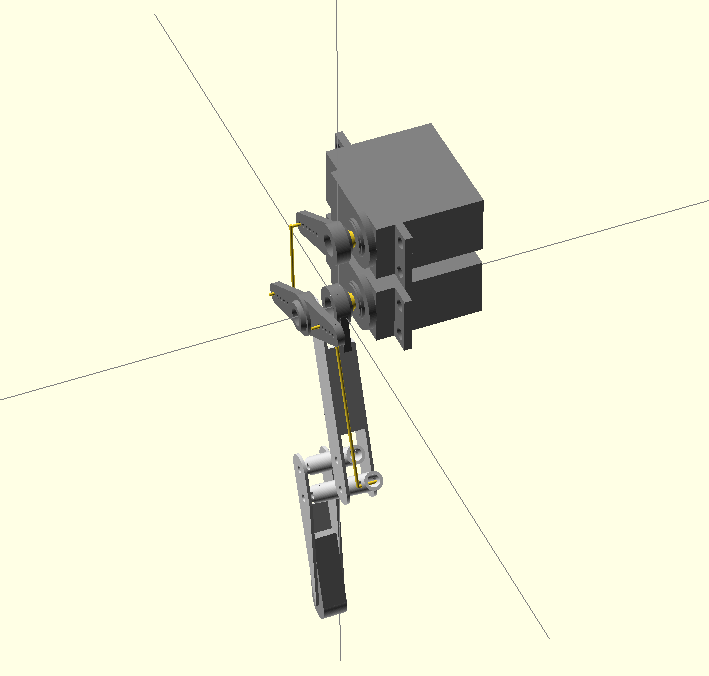 This entry was posted in Felix and tagged OpenSCAD on January 31, 2014 by ronaldx. I have started modelling Felix in OpenSCAD. OpenSCAD is the bees-knees – if you don’t like to move your hands from the keyboard. 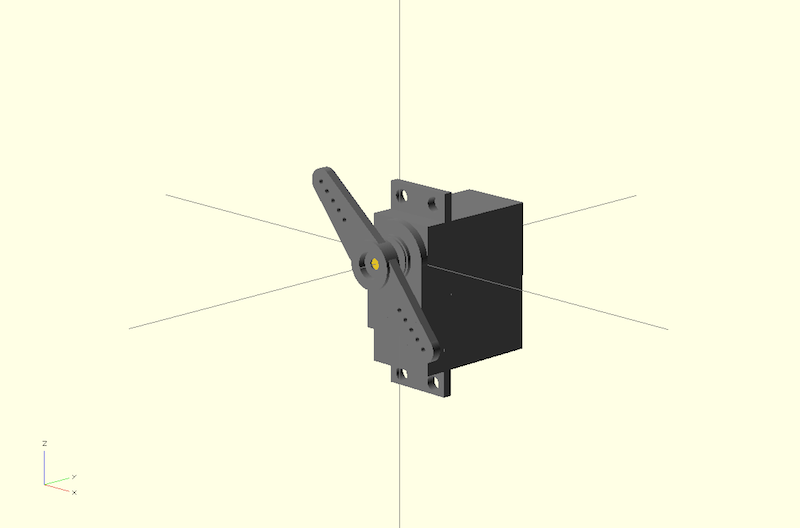 OpenSCAD is an Open Source tool to create solid 3D CAD objects. You can create quite complex objects ready to be 3D printed. But this is not a interactive modeller, you describe your model in text. Many years ago in school i used to model in Form-Z, later in Blender and SketchUp, but allways the point and click drove me mad. Last year I discovered OpenSCAD, and for the kind of stuff I currently model (mostly mechanical contraptions) it is perfect. I have been a Vim user for many years and by setting OpenSCAD to automatically reload and compile (from the Design Menu), I can describe all my geometry in Vim with solid syntax highlighting and (for me) a very natural workflow. So I begin by modelling the TowerPro servo and the two types of servo horns I plan to use with Felix. You can follow the development (and download the CAD files) from my GitHub repository. 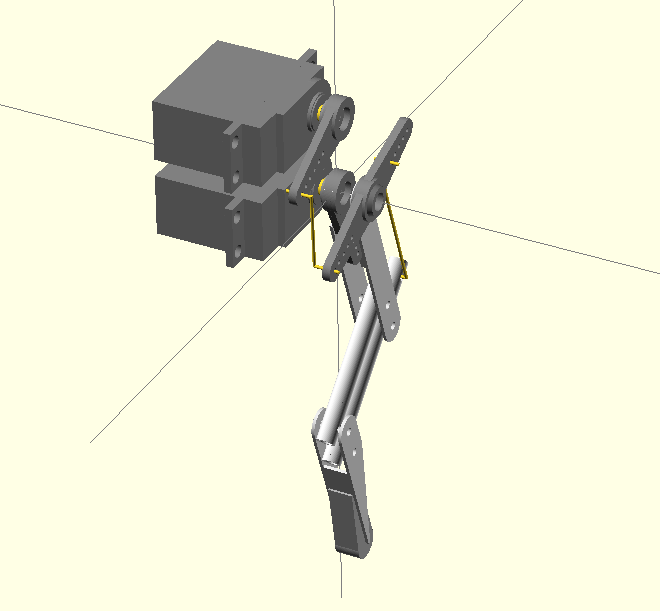 This entry was posted in Felix and tagged OpenSCAD on January 30, 2014 by ronaldx. 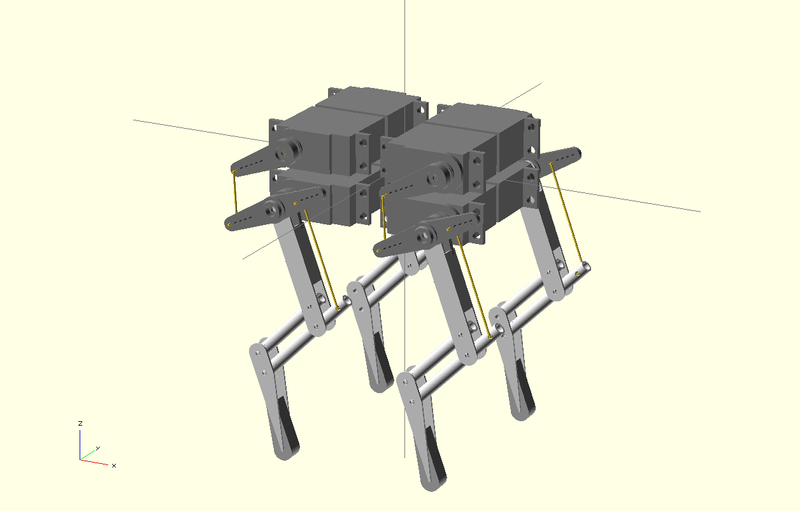 The last couple of years there has been a lot of development in quadruped robots. The leader of the pack is probably Boston Dynamics with Big Dog, Cheetah, LittleDog and WildCat. But the main source for inspiration for my project has being Cheetah-cub from the École Polytechnique Féderale De Lausanne. The paralelogram leg design and small form factor where easy to relate to. On another level MIT’s Cheetah (Prof. Sangbae Kim’s Biomimetic Robotics Lab) is an amazing display of engineering and aesthetics. While browsing MIT’s site to find a picture of Cheetah for this post I discover a new feline: Juniour Cheetah. Very interesting project and potentially a way to study dynamic gaits on a budget. This entry was posted in Felix on January 29, 2014 by ronaldx. 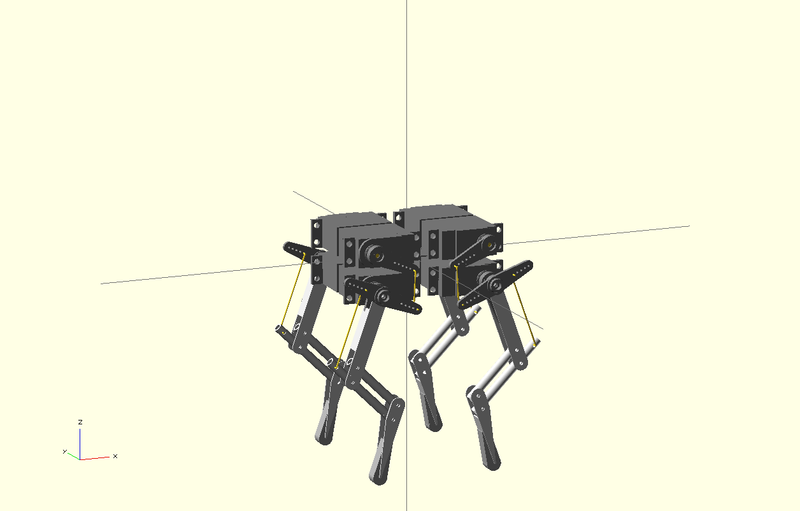 Currently I’m working on a four legged robot platform called Felix. My goal is to study static gaits and learn more about legged locomotion. I’ve been doing some sketches and want Felix to be sort of a dog or cat like creature. Each leg is controlled by two actuator, one for the hip and one for the knee. 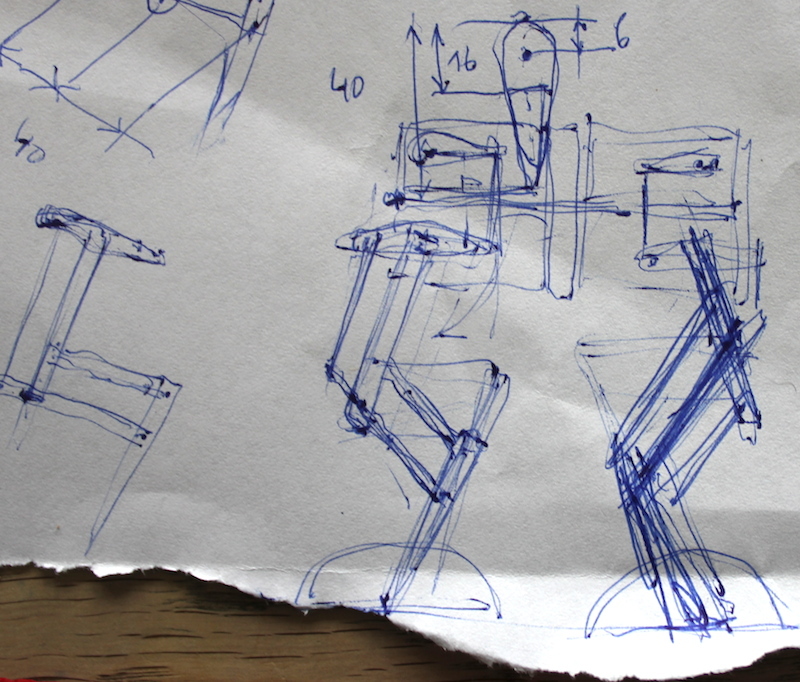 The design of the legs is a three segment pantograph mechanism. I’ll start by prototyping Felix as an skeletal construction in aluminium, later I might do a “softer” 3D printable design. For the actuators I have 8 TowerPro MG995 servos from ServoShop, they can provide 9.4kg of torque. Not exactly Dynamixels, but they have the best torque to price ratio. 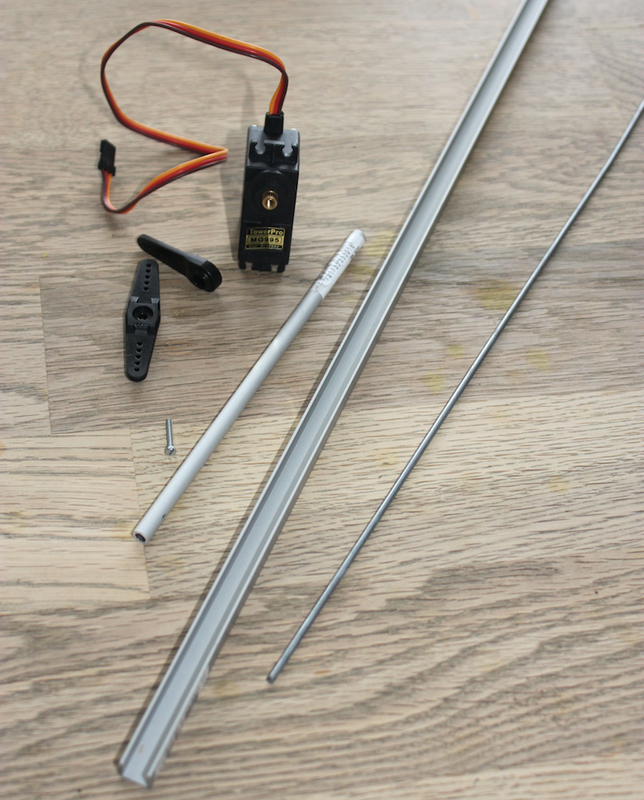 The aluminium parts will be made from a 10 mm. C profile and 9 mm. and 6 mm. tubing from the local hardware store. Next step is to get the design into CAD and get the size and proportions right. I love to make stuff and I’m constantly tinkering with multiple projects. Most of what I made and learn has been due to people openly sharing their insights and knowledge. I have always though, “when I complete this project, I will document it and share it as well”. Problem is, I’m constantly one step behind my own expectations, and I realised that I never be able to catch up. So I decided to setup this blog to document processes, experimentations and dead ends in electronics, programming and crafts. This entry was posted in Uncategorized on January 27, 2014 by ronaldx.